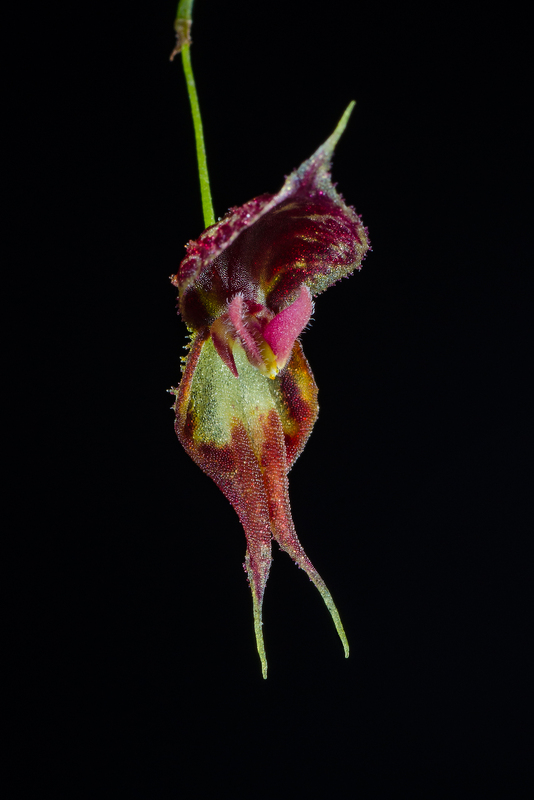 Lepanthes nycteris Luer & R Vásquez 1983. 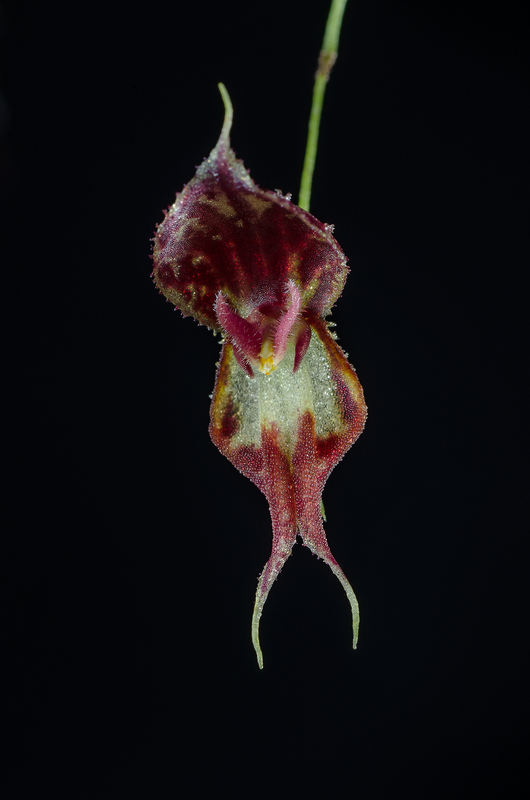 Beautiful Lepanthes sp that grows in Peru and Bolivia. Often growers get L martinae instead of the real L nycteris. It grows in humid cloudforests at around 1800 meters. I grow it in a very humid spot in my vivaria. Mounted on Xaxim. It prefers to be wet all the time. Minimum temperatures in winter +10°C to +12°C and maximum +19°C. Flowers are 13-18 mm. Buds needs humidity to develop into flowers. Leafs small and round. 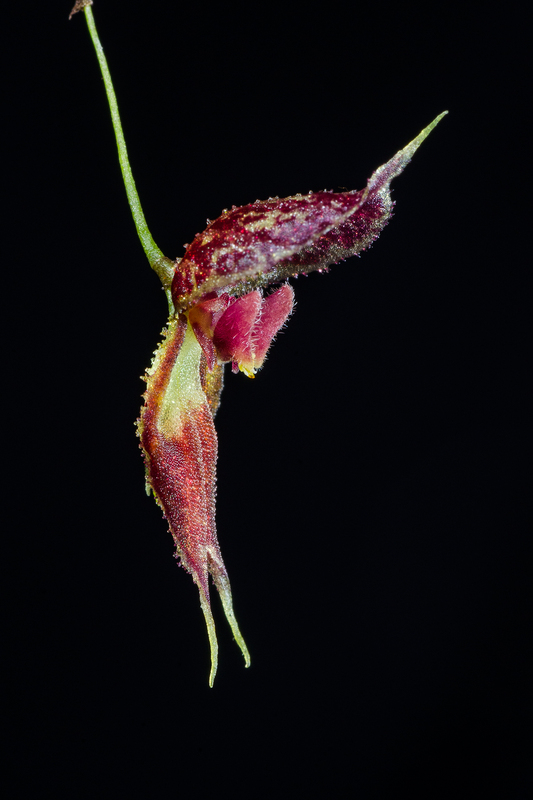 ← Campylocentrum brenesii – A tiny tiny species.